There are almost 400 years of documented golf at Dunbar. 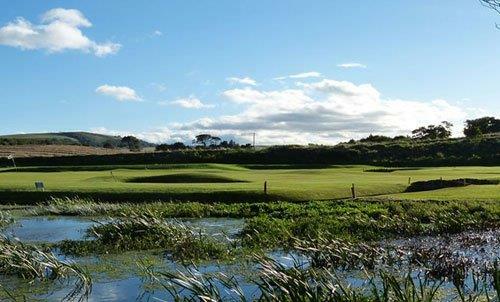 Only a handful of other Scottish golfing locations can date as far back. One of the game's oldest recorded organisations, the Dunbar Golfing Society, played on the western side of the town in 1794. The east links, home to Dunbar Golf Club since 1856, has over the years attracted some of the greatest players that have ever played the game: James Braid, JH Taylor, Harry Vardon, Willie Park, Old Tom Morris, Sandy Herd, Ted Ray, Max Faulkner and Bobby Locke have all pitted their wits against the testing layout. In more recent times, the likes of Vijay Singh, Steve Elkington (an honorary member), Colin Montgomerie, Paul McGinley, Luke Donald and Sergio Garcia have competed in championships, qualifiers and exhibition matches. To find out more about our club and our course's rich history, click on the link below.